Previous jobs include roller-skating carhop, basket maker, cake decorator, script writer, etc. And let me just say that carhopping is far underrated, my friends... $20 an hour when you're in high school is like swimming in a giant pot of gold. The script writer (and to be clear, that is far overstating my actual responsibilities in that job, but it's a pretty difficult job to just sum up, so writer is the easiest way to put it) fact is important to you because it affects what your're reading right now... at this very moment. What's great about script writing is that you need to write how people actually speak, which is not necessarily grammatically correct. So, I am embracing that ideal for blogging. I think it's brilliant because I love incomplete sentences. A lot. However, I cannot spell. At all. So, I use google as my own personal dictionary. In fact, I have already googled decorator, underrated, and affects even while writing this post. To be honest, my favorite hobby is not paper crafting. Or I should say, it's not my only favorite hobby. Ah, how do I love junking? Let me count the ways. Junking would be the red-headed stepchild of antiquing. I cannot afford antiquing, therefore I junk. Junking is a bit harder to do now that I have the 3 previously-mentioned (birthday-stealing) children. The same children that like to creatively "rearrange" all the items in my home. There is no space that is safe. Nor a space that is out of reach due to the dare devil nature that has been imparted to them by someone other than me. So, all that means that I don't get to go junking as often as I would like. And that breeds this whole "absence makes the heart grow fonder" issue. I am technically challenged. I did not own an ipod until a few weeks ago and I can assure you that I have not figured it out yet. I can Tivo, but that's about the limit of my techy-ness. Chalk any blogging errors up to this fact. My style is lazy clean and simple. Not to say that clean and simple is easy. It's just that generally, when I try to add more patterned paper and more images and more embellishments and more, more, more, my hands literally rebel against me. I find myself adding, adding, adding, then removing, removing, removing. I so envy all of you who can add just the right embellishments and layers and lots of them. And then some more. Layers scare me. So do embellishments. Except ribbon. Ribbon loves me. Yeah... I'm wordy. Verbose. Long-winded. But you already knew that, didn't you? I know some of you just want to get straight to the project pictures. So feel free to skip all the words. I won't be offended. I mean, I would be offended, but I'll never know, will I? It's a win-win, my friend. This is my new gig! Yeaaaaah... trust me, I was surprised, too. And thrilled. Dream-come-true kind of thrilled. Cool, huh? I tell ya, I thought I was downright *brilliant* when I realized the glassine bags were the perfect size for a regular A2 card. I could do a little matching glassine bag envelope for every darn card I ever make, I like it that much! And you could totally just do a simple closure for the envelope instead of the button wrap do-dad, although I rather like the do-dad. The candle stickers come all lined up just like that so I just folded the backing sheet back a bit, the pressed the bottom of the stickers onto the cardstock, then gently peeled the backing away while I kept pushing the stickers down. Wa-la... all lined up and evenly spaced! I strung the buttons along the twine for a bit of a different look. * Yup. Just googled "inaugural." But who can blame me? That word is seriously hard to spell. I see you figured out the whole blogging thing, my friend ... it looks great great (of course)! Many congrats on your new ventures, Go-To Girl! So happy for you! I read the text and looked at the pictures and absolutely loved both! Thanks for sharing how you got those awesome candles in such a straight line. Congrats on launching your new blog! Will look back for more. Yay! A huge congratulations, Jessica! I'm so happy that you now have a blog! It's addicting, I tell ya! Your birthday card is adorable....love how you threaded the buttons! Hi! Jumped here from the Go To Gal announcement post and from here I'm going to add you to Google Reader. 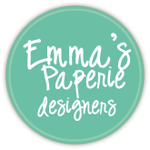 I looooooooooooove the clean and simple (and fun and elegant) style -- I have the feeling I will be wanting to see everything you make! Best wishes! hey jess! 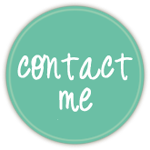 i added you to my google reader and can't wait to keep up with all your happenings and projects!! cute idea with the glassine envelopes!! At long last, it's here ... I can say it 'out loud'! Congratulations, Jessica! I'm incredibly tickled for you in your new role as a Go-to-Gal with PC ... and your new blog as well. WAY excited to work with you more! And witticisims is a brilliant title. And for the record, I read every word of this post. And I think birthday-stealing children are funny. And I love incomplete sentences. When they appear in the right place. And maybe I need a new job as a car hop? I wanna swim in a pot of gold. ;)"
Ooooh, Jess, I love your new blog...you did an awesome job and again, congrats on your new position as a Go-to-Gal..Whoohoo!!! Count me in as one very Happy person who is so glad you are blogging! You are too funny! Congrats on the new blog, that I love, and the new PC gig!!! I use google dictionary ALL the time! yea!!! you have a blog! I kept looking at all of your posts on SCS and wanting to hear the blah, blah that goes with! I love your blah, blah! I too read all the way through it. Cracked me up! Congrats on your new endeavors! Can't wait to see what you have in store for us, Go-To Gal! yea! I'm so glad you got blog!! 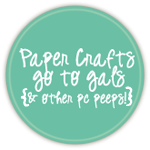 Congratulations to you being Paper Crafts go-to gal! thanks for your sweet comment on my SCS gallery the other day! remember we met in N. Texas about 3 1/2 years ago?? So glad to meet you and find your blog! Best wishes on your new adventure! Hugs from Morocco! 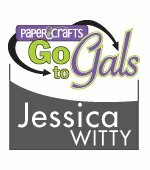 Jess, Congrats on your new blog and on your new role over at Paper Crafts! I'm excited for you!! Congrats on the new gig and the blog- will definatly be following! 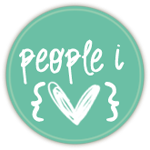 You are just filled with awesomeness in many ways ;) Congrats on the new gig and the blog! I love your blog- verbose is perfect, when it's entertaining. And it is! :) Fun card- and HUGE congrats on GTG status! Jessica - that envelope is just plain CUTE! Yes, I like the card, but LOVE that envelope! LOVING your blog, girlfriend! Congrats on being a go to girl and congrats on your blog. Way to try something new. That's so funny. I use dictionary dot com and just looked up inaugural today! It's been a blast getting to know you a bit. I love the threading of your buttons on that twine. Quite cool.